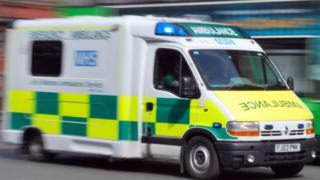 Attacks on emergency workers will face tougher sentences under a new law which has been given government backing. Rhondda Labour MP Chris Bryant's private member's bill would double the maximum sentence for common assault against an emergency worker to a year. Mr Bryant called assaults on police and paramedics "a national disgrace". Policing minister Nick Hurd told MPs the government was "very supportive" of the principles of the bill, which is due to be debated on Friday. Mr Hurd told the Commons that violence against emergency service workers was "intolerable". He reassured Mr Bryant - who raised the issue at Home Office questions - that the government backed the idea, although he said the details had yet to be worked out. The legislation will cover attacks on police, prison officers, custody officers, fire service personnel, search and rescue services and certain healthcare workers including ambulance staff. A government spokesman said: "We owe our brave emergency service workers a debt of gratitude for the courage, commitment and dedication they demonstrate in carrying out their duties. "This crucial change will send a clear message that we will not tolerate attacks on them, and we will work with Chris Bryant and others to ensure those who are violent face the full force of the law." Mr Bryant, who presented the bill in the Commons in July, said at the time: "The way our emergency workers are treated is a national disgrace. "They are spat at, punched, attacked or even stabbed whilst they are trying to save other people's lives. We have all seen the horrific images on TV. "But the shocking fact is that such appalling acts of violence attract no harsher penalty than an attack on an ordinary member of the public - and often no prosecution is brought." Under the bill, judges will also consider the victim being an emergency worker as an aggravating factor in offences including common assault, actual bodily harm and grievous bodily harm. The legislation will also give the power to take blood samples, with consent, from people who have spat at or bitten emergency workers and exposed them to the risk of infection, the government said. It also creates a new offence of failing to provide this blood sample without good cause. Mr Bryant, Labour MP for Rhondda, came top in a ballot of MPs seeking to introduce a private member's bill in June. He then asked voters across the UK and in his own constituency to choose their preferred bill from a shortlist of six. Private members' bills are one of the few chances MPs who are not ministers get to create legislation. They stand little chance of becoming law unless the government of the day decides to back them.